The United States government, up until November 1, 2012, had been telling financially strapped homeowners to stop making their mortgage payments and go into foreclosure. This might sound like something you'd read in a science fiction novel, but truth is generally stranger than fiction. Over and over, prior to November 1, I have watched Fannie Mae, owned 79.9% by the government, demanding a delinquency before it will approve a short sale. But that changed November 1. See, Fannie Mae, along with Freddie Mac, are two mortgage giants that own almost 3 out of every 4 mortgages in the United States. From Fannie Mae's humble beginnings in 1938 -- formed by President Franklin D. Roosevelt and Congress to buy mortgages in the secondary market -- to its public offering in 1968, Fannie Mae soared to record profits before the great mortgage meltdown of 2007. Fannie Mae was placed into government conservatorship in September 2008, under the Federal Housing Finance Agency. 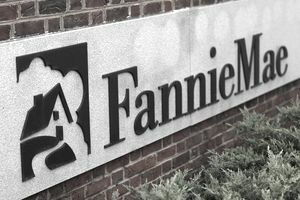 According to CNNMoney.com's Bailout Tracker, Fannie Mae has received more than $200 billion from the Troubled Asset Relief Program (T.A.R.P.) Let's not even talk about the millions of dollars of bonuses offered to its executives, in return for what some critics call fleecing the American taxpayers. What Is a Fannie Mae Short Sale? Fannie Mae adds another layer to the short sale process. Generally, the seller will present a hardship and the home will be upside-down to qualify for a short sale. Once the seller has received an offer to buy that short sale, the offer, along with other qualifying documentation, is sent to the seller's bank. If the bank is merely servicing the loan because the loan has been sold to Fannie Mae, not only will the servicing bank process the short sale, but the package will later be sent to Fannie Mae for approval. This means even if the seller's bank approves the short sale, the seller will still need Fannie Mae's approval, providing the servicer does not have delegated authority. Fannie Mae short sales take longer to close. Can a Seller Stay Current and Do a Fannie Mae Short Sale? The answer appears to be yes. Prior to November 1, 2012, negotiators at Fannie Mae had told me over and over that Fannie Mae will not issue short sale approval if the seller is not in default. Other investors such as Bank of America and Wells Fargo do not force the seller into default and will grant a short sale when a seller is current. I have experience working on Fannie Mae short sales in Sacramento. Here is a sample transaction. Bank of America approved a short sale in early 2012 and sent the package to Fannie Mae for review. Fannie Mae then rejected the short sale because the seller was still making the mortgage payment. So, the following month, the seller decided to not make a payment. Sixty days later, Fannie Mae approved the short sale. Will Fannie Mae Postpone a Trustee's Sale if a Short Sale Offer Is Pending? Unfortunately, the answer appears to be no. Once a notice of default has been filed, Fannie Mae has said it will not stop the foreclosure process while it is considering a short sale. If the short sale cannot be finalized prior to the auction date, Fannie Mae will foreclose -- even if the reason the short sale is not approved is due to delays at Fannie Mae. Isn't this exasperating news? On the bright side, after November 1, 2012, the government has stopped pushing sellers who would otherwise stay current on their mortgage payments into foreclosure. Sadly, once the foreclosure process has begun, the government will take away a borrower's home if the short sale can't close before the sale date. *For sellers who close a short sale after June 30, 2012, if the seller is a member of the military with Permanent Change Orders, Fannie Mae will allow the seller to remain current. New guidelines issued by the FHFA, effective November 1, 2012, allow sellers with a hardship to remain current and still do a Fannie Mae short sale. If you would like to find out if your loan is held by Fannie Mae, go to the Fannie Mae Loan Lookup site. At the time of writing, Elizabeth Weintraub, DRE # 00697006, is a Broker-Associate at Lyon Real Estate in Sacramento, California. Should You Stop Making Mortgage Payments During a Short Sale?